Now that your company has been accreditated, it’s imperative that you maintain your ASA-100 Quality Management System through ongoing audits, continual process improvements, and training courses. simpleQuE can provide the assistance you need to ensure that your accreditation continues to meet the established standards. Our Audit and Gap Analysis can identify any areas where improvement is needed. Having simpleQuE perform these internal audits will result in increased profits, operational efficiency and customer satisfaction. 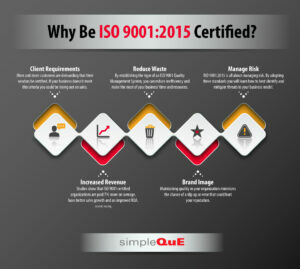 And with simpleQuE’s consulting services at your disposal, you will have a quality management system in place that ensures you maintain your accreditation. Ongoing auditing and evaluation, both of internal operations and external resources, are essential to maintain your accreditation, ensure customer satisfaction and remain in compliance with all requirements. The following highlights the components of simpleQuE’s continual improvement process monitoring and measuring. Internal Audit—Our team will work with you to conduct the periodic internal audits required to maintain your industry accreditation. Training— Internal Auditor Training with the Process Audit Approach course fulfills the requirements for competent, knowledgeable and effective internal auditors and includes hands-on development of key processes, audit planning, and hands-on auditing exercises. Supplier Risk Management — A supply chain audit measures the performance and reliability of your suppliers, external providers, and outsourced processes, driving supplier development, and allow you to resolve both supplier quality and internal issues more effectively to maintain an efficient quality management system. Whether you have a management system in place or are just developing one, understanding the requirements and having an experienced consultant or auditor by your side is key. Our team members have third-party auditing experience, industry-related work experience, and firsthand knowledge of what is required to pass a certification assessment and maintain certification. 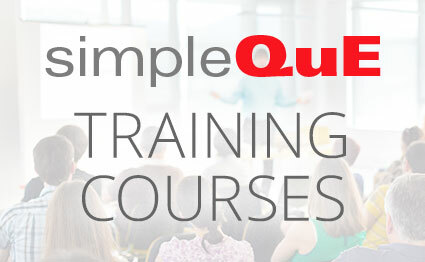 The experts at simpleQuE can keep you on track with their simple, customized approach – “Quality Excellence Made Simple”.